Not an easy year in South Australia, with unsettled weather during flowering and then heavy rain falling during the harvest. In the Barossa Valley rot was a serious problem and only those growers with healthy and balanced vineyards produced quality wines. In stark contrast excellent wines were produced in Coonawarra with the region escaping the harvest rains - Petaluma's Brian Croser said it was as if someone had held an umbrella over the district. In Victoria the vintage was uneven - the wines from the Yarra Valley and Geelong are impressive while those from the Mornington Peninsula are more variable in quality. 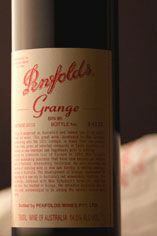 Western Australia was set for a top-class vintage before a cyclone hit the main wine-growing regions during the harvest. Some good Chardonnays have been produced by growers who managed to harvest before the rains. The reds are variable, although the top estates have produced some impressive Cabernet Sauvignons.